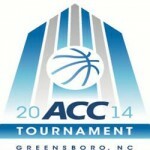 The University Louisville’s long-awaited entry into the Atlantic Coast Conference becomes official today. “We have looked forward to this day since November of 2012, when our Council of Presidents voted to accept Louisville as a member of the Atlantic Coast Conference,” said ACC Commissioner John Swofford. 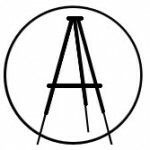 Going to Tahiti Productions and The Writer, Ink will shoot the 45-minute Farm Story pilot in Staunton and surrounding areas September 8, 2014 through September 17, 2014. WTA’s Gateway, labeled “the best intimate musical venue in the Valley,” has scheduled an engagement with Barbara Martin and Liz Barnes. The Friday, June 13 performance will begin at 8:00 pm at 329 W. Main St., downtown Waynesboro. Skyland Resort and Big Meadows Lodge in Shenandoah National Park are proud to welcome military personnel and their families during the summer season with a special 20% mid-week lodging discount as a thank you for their outstanding courage and dedication to our country. WVPT, the PBS station that serves the Shenandoah Valley and Central Virginia, announced that the Festival of Family Fun will be at the Rockingham County Fairgrounds, Saturday, June 7th from 10 a.m. to 3 p.m.
WWE needs to heed the old adage about dancing with the one that brung you. It’s a wrestling company, not a movie company, not an entertainment conglomerate. This month, Staunton’s Clever by Half Productions (which produces 100% original and portable murder mystery dinner theatre) kicks off its 10th anniversary celebration with a brand-new show, HINT. The Adult Care Center in Winchester will host a “Beach Party Brunch n Bid” Sunday, June 1st at the Winchester Moose Lodge. NBCUniversal Cable Entertainment and WWE (NYSE: WWE) today announced a multi-year strategic partnership for WWE’s flagship programming Monday Night Raw® for a three-hour block on USA Network and the top-rated Friday Night Smackdown® on Syfy. The deadline for the 26th Virginia Screenwriting Competition sponsored by the Virginia Film Office is Friday, May 23, at midnight. 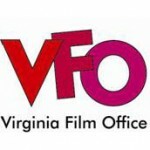 The annual Virginia Screenwriting Competition is created to provide Virginia screenwriters with a forum for their work. WWE today announced financial results for its first quarter ended March 31, 2014, with the highlight of the news being that the company is reporting a net loss of $8 million in the quarter that saw the ballyhooed launch of the WWE Network. 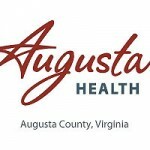 The annual free Skin Cancer Screening at Augusta Health Cancer Center. Providers from both Augusta Health Dermatology and Blue Ridge Dermatology participate collaboratively. When you see a headline promising you details on Stone Cold Steve Austin and his position on gay marriage, you don’t expect to read about how he supports it. But that is the case, as Austin revealed on his podcast this week. The Rockingham County Fair is pleased to announce this summary of Pepsi Grandstand entertainment for 2014. Looking for the freshest, most delicious locally grown products available? One of the best ways to enjoy the bounty of Virginia’s spring, summer and fall is to shop at one of the state’s many farmers markets. The Richmond Raiders will face a 2013 league champion for the second straight week when they host the Harrisburg Stampede Saturday night. Both teams sport 1-2 records, making this first of three regular season meetings an important battle in the National Conference standings. April is National Poetry Month and to celebrate, Waynesboro Public Library invites you to enjoy activities with poet Maurice McFadden, author of Strength Like Yours. How long will the Daniel Bryan run at the top of WWE last? The fans have gotten their way. WWE not only gave the ball to Daniel Bryan, but he was able to keep it for more than a night. The question now is, How long will Daniel Bryan be the man in WWE? 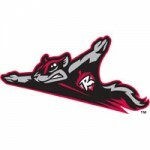 The Richmond Flying Squirrels, Double-A affiliate of the San Francisco Giants, announced that Richmond native and Seattle Seahawks fullback Michael Robinson will participate in the Flying Squirrels fifth season Opening Night festivities on Thursday, April 10 at The Diamond. Grinning Man Media Group announces the official release of its latest film Scrapper, available for home entertainment April 1st on DVD and On-Demand in all formats, including cable/satellite, iTunes, Google Play and Amazon On Demand. ACC FanFest, presented by the Official Corporate Champions of the ACC, will take place beginning Wednesday, March 12 and run through Sunday, March 16, with live music, games and entertainment for ACC fans. 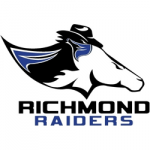 The Richmond Raiders announced today that single game tickets for the 2014 season are now on sale through the team’s website and ticket hotline. Curtis Fleming, award-winning host of “Fly Rod Chronicles with Curtis Fleming” on the Outdoor Channel, filmed at The Greenbrier and The Greenbrier Sporting Club in April 2013 for an upcoming television episode, “America’s Resort on the Fly,” which debuts Monday, January 27 at 11 a.m. EST. With winter storms bringing unseasonably cold nights, many people find themselves on the streets exposed to dangerous levels of cold. Coats and soup will help. 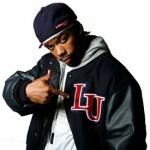 Liberty University graduate student Jason Lewis, better known as Humble T.I.P. (To Increase Praise), who will headline a concert at the Waynesboro YMCA on Friday, Jan. 24, from 7-9 p.m., is challenging the stereotypes of hip hop. The Alpha Vision Films documentary film “Oyster Preservation on the Great Wicomico” will be featured on WVPT’s “Virginia Farming” this weekend and will also air next week on RFD-TV. The documentary is a sojourn to “river country” in Virginia’s Northern Neck to meet waterman and marine research specialist Malcolm Luebkert. 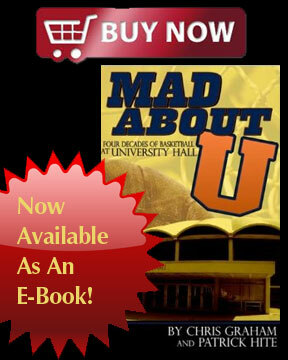 Tiffany Andrews is a local elementary teacher who has always had a dream to write and illustrate a children’s book. Though she had the vision for Egglegru and His Crew of Gigglers, it was one of her students who persistently encouraged her to finish it. The Earl Hamner Theatre will present a new version of its popular The Homecoming at WTA’s Gateway on Friday and Saturday, Dec. 27 and 28. The new adaptation will premiere at WTA’s Gateway before moving on to Charlottesville’s First Night. Both performances are at 7:30 pm. The Gateway Theatre in Waynesboro hosts a special dessert version of the River City Radio Hour to celebrate the season. 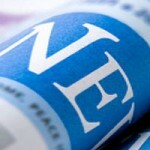 The performances will feature some of the Radio Hour’s favorite performers. Elementary and secondary art teachers from Harrisonburg and Rockingham County public schools will exhibit “Artists Who Teach Art” Jan. 2 – Feb. 5 in the Cleo Driver Miller Art Gallery at Bridgewater College. An artists’ reception will be held from 5 to 7 p.m. Friday, Jan. 3 in the Miller Gallery. The reception and exhibition are open to the public at no charge. The scheduled Friday and Saturday performances of D.D. Delaney’s “Concise Christmas Carol” at the WTA’s Gateway Theatre in Waynesboro have been canceled due to transportation issues. The Wayne Theatre Alliance’s Gateway will bring The Concise Dickens’ Christmas Carol as part of WTA’s holiday entertainment. The seasonal favorite of Hampton Roads’ audiences will be presented on Friday and Saturday at 7:30 p.m. Advanced tickets for The Concise Dickens’ Christmas Carol are available for $5 for children under 12 and $10 for adults. The Waynesboro Chamber Orchestra, made up of members of the Waynesboro Symphony Orchestra, will be in concert at First Presbyterian Church in Waynesboro on Saturday, Dec. 14, at 3 p.m.
Bridgewater College’s 12th annual “Horses’ Christmas,” which was scheduled for Sunday, Dec. 8, at 1 p.m., has been cancelled in anticipation of inclement weather. Further information regarding re-scheduling of the event will be released soon. After attracting more than 5,000 visitors last year to its site, the seventh annual Night of Miracles… A Journey to Bethlehem will run on the weekends of December 6, 7, 8 and 13, 14, 15 in Buena Vista. The interactive, walk-through, live nativity village is set on the hill behind Buena Vista Food Lion at Highway 60 East & Highway 608 South. Wynonna and The Big Noise will perform at The Paramount Theater as part of their National Tour, A Simpler Christmas on Friday, Dec. 20, 2013 at 8 p.m. The “A Simpler Christmas” Tour will be an intimate and joyous performance that will showcase Wynonna’s legendary voice in a set of inspirational Christmas favorites, plus some of her greatest hits. The community may soon add a new verb to their vocabulary: geek. The Valley Libraries Consortium consisting of Augusta County Library, Staunton Public Library, and Waynesboro Public Library will be participating in Geek the Library, a community‐based public awareness campaign. 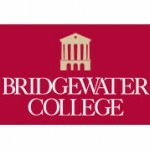 The Equestrian Club of Bridgewater College will host the 12th annual Horses’ Christmas at the Bridgewater College Equestrian Center in Weyers Cave, on Sunday, Dec. 8, at 1 p.m. The Bridgewater College Equestrian Center is located off of U.S. 11 on Burketown Road, between Weyers Cave and Mount Crawford. The Staunton Augusta Art Center presents two holiday-related workshops in December, one for ages 6-10ish and one for high school and post retirement ages. The Shenandoah Valley Art Center, during the month of December, is exhibiting the watermedia paintings of Staunton artist, Billie Rosenburger, whose mediations on color yield cheerful bright imagery. An Opening Reception and Artist Talk will be held Dec. 7, 6-8 p.m., and the public is encouraged to come and meet the artist. WTA’s Gateway in Waynesboro will bring The Concise Dickens’ Christmas Carol as part of WTA’s Holiday entertainment. The seasonal favorite of Hampton Roads’ audiences will be presented on Friday, Dec. 13 and Saturday, Dec. 14. The acting troupe of Ebenezer Scrooge and Co. is in the single person of actor/writer D.D. Delaney, who plays 22 roles. Music impresario Gary Kirby has arranged for a special performance of Becca and the Cherokee Revival at WTA’s Gateway at 8 pm on Saturday, Dec. 7. “Becca has the power behind the vocals to deliver a song that will send cold chills down your spine and with Cherokee Revival creates a sound not to be forgotten,” says Kirby. The Waynesboro High School Concert Choir is an auditioned mixed choir of 60 students in the 10th, 11th and 12th grades at Waynesboro High School.